Learning the Solar System for Kids - Look! We're Learning! 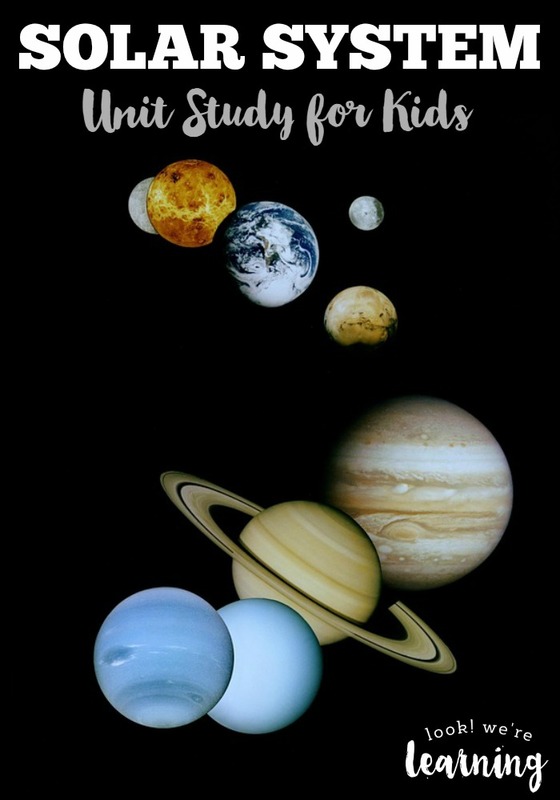 For our latest post in the Homeschool Unit Studies series, we’re talking planets with a lesson on teaching the solar system for kids! Now that my kids are developing an interest in space, I thought I’d put together a few resources for learning the solar system. There are videos, books, and activities below that make learning about the solar system even more fun! Why does Mercury experience large temperature fluctuations? Answer: Because a Mercury year is shorter than a Mercury day. Why is Earth able to sustain life? Answer: Because temperatures are moderate enough to retain a water supply. What makes Uranus unique? Answer: Its axis of rotation is tilted sideways. 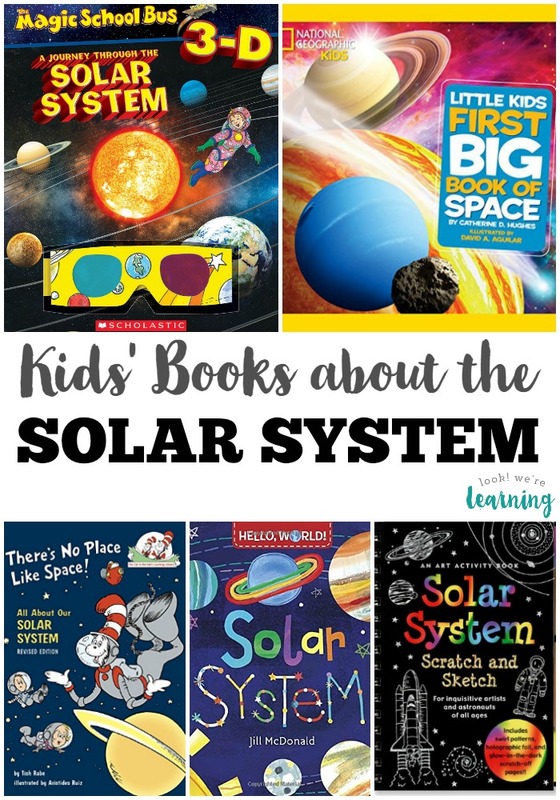 Read these great picture books as a way to introduce the solar system for kids! These solar system crafts and activities are fun, hands-on ways to make the solar system real to little ones! 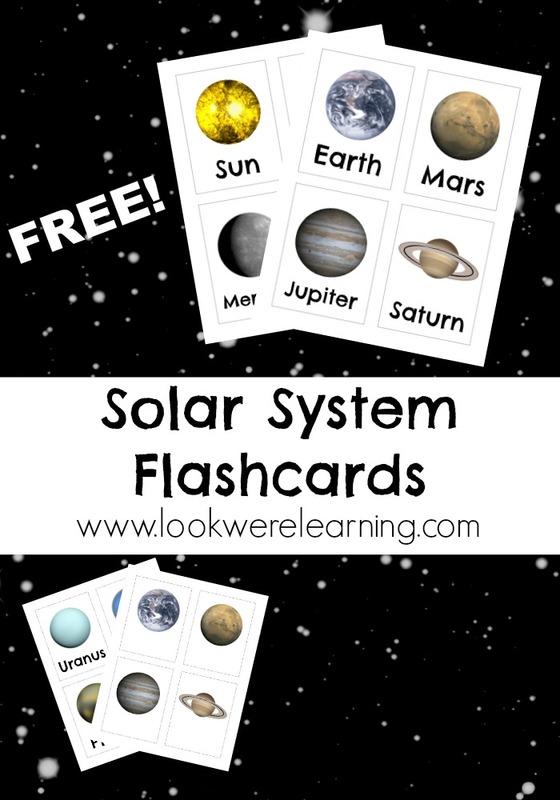 Don’t miss our free printable Solar System Flashcards! And see more of our solar system activities below! Get more ideas for homeschool unit studies on my Unit Studies Pinterest board! This post is part of the Solar System Unit Study Roundup! 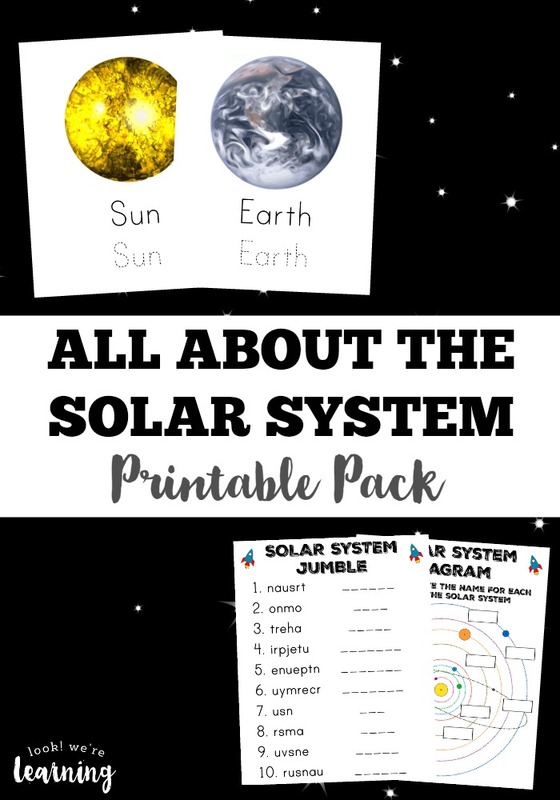 Check out more great ideas to teach the solar system for kids below!